Mathematics Classrooms That Promote Understanding synthesizes the implications of research done by the National Center for Research in Mathematical Sciences on integrating two somewhat diverse bodies of scholarly inquiry: the study of teaching and the study of learning mathematics. This research was organized around content domains and/or continuing issues of education, such as equity and assessment of learning, and was guided by two common goals--defining the mathematics content of the K-12 curriculum in light of the changing mathematical needs of citizens for the 21st century, and identifying common components of classrooms that enable students to learn the redefined mathematics with understanding. To accomplish these goals, classrooms in which instruction facilitated the growth of understanding were established and/or studied. This volume reports and discusses the findings which grew out of this research, and subsequent papers and discussions among the scholars engaged in the endeavor. Section I, "Setting the Stage," focuses on three major threads: What mathematics should be taught; how we should define and increase students' understanding of that mathematics; and how learning with understanding can be facilitated for all students. 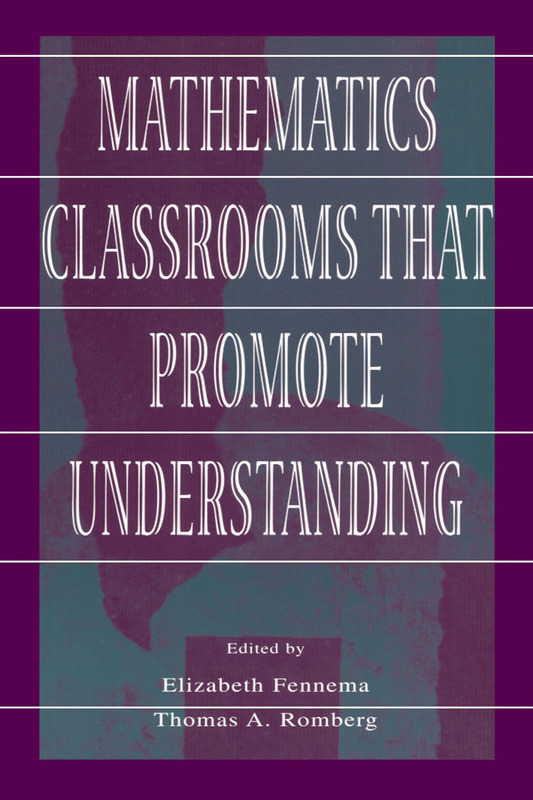 Section II, "Classrooms That Promote Understanding," includes vignettes from diverse classrooms that illustrate classroom discourse, student work, and student engagement in the mathematics described in Chapter 1 as well as the mental activities described in Chapter 2. These chapters also illustrate how teachers deal with the equity concerns described in Chapter 3. Section III addresses "Developing Classrooms That Promote Understanding." The knowledge of the teaching/learning process gained from the research reported in this volume is a necessary prerequisite for implementing the revisions called for in the current reform movement. The classrooms described show that innovative reform in teaching and learning mathematics is possible. Unlike many volumes reporting research, this book is written at a level appropriate for master's degree students. Very few references are included in the chapters themselves; instead, each chapter includes a short annotated list of articles for expanded reading which provides the scholarly basis and research substantiation for this volume.